Margaret A. Donohue concentrates her practice in health care. She has experience in counseling hospitals, nursing homes, home health agencies, ambulance suppliers, mental health and other health care providers, on a variety of Medicare and Medicaid regulatory and reimbursement requirements. Margaret advises clients on reimbursement and coverage rules, compliance, fraud and abuse, cost reporting, and state licensing issues. 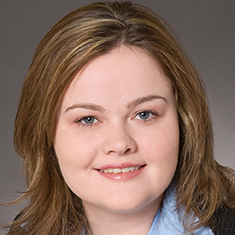 She has assisted clients in defending state and federal audits/recoupments, and in drafting affiliation agreements. Margaret also represents health care providers in False Claims Act-related investigations and litigation involving a variety of Medicare and Medicaid issues, including diagnosis coding, medical necessity of services, third-party liability issues, licensing issues, use of modifiers, graduate medical education payments, cost reporting, and Medicare and Medicaid reimbursement for hospital and professional services involving teaching physicians and residents. Shown below is a selection of Margaret’s engagements. Representation of a provider earning dismissal with prejudice of the government’s primary False Claims Act claim that it had improperly utilized diagnosis codes. Guidance to a large health care system in formulating and implementing a corporate-wide compliance program, including development of policies, a risk assessment process and internal audit structure. Regular advice on federal and state compliance requirements. Representation of a large health care system and municipality in winning dismissal with prejudice of an entire False Claims Act complaint alleging manipulation of the Medicaid payment processing system to cause $14 billion of improper payments. Advice to high-level reimbursement staff at a health care system on a variety of billing matters, such as documentation requirements for specific services, use of mid-level providers and claim form questions. Representation of an ambulance supplier to settle False Claims Act allegations that it billed Medicare for medically unnecessary emergency transports. Defense of hospital clients in Medicare appeals before the Department of Health and Human Services Provider Reimbursement Review Board in cases involving issues such as cost report audit adjustments, graduate medical education payments and bad debt reimbursement. Representation of a large health care system in opposing a State audit of emergency services to undocumented immigrants. Defense of a hospital and physician group in a False Claims Act case involving nuanced Medicare/Medicaid reimbursement rules for teaching physicians and residents, podiatry, licensing, and graduate medical education payments. Representation of a hospital system in the negotiation of an affiliation agreement with a medical group and related implementation issues. Representation of an academic medical center in challenging a New York State Office of the Medicaid Inspector General Audit of Article 16 clinic services to individuals with developmental disabilities. Defense of a health care system against a State Medicaid audit concerning behavioral health partial hospitalization services. Defense of a nursing facility in a New York State Office of the Medicaid Inspector General audit leading to its ultimate discontinuation. Provision of assistance to a hospital system in responding to various New York State Office of the Medicaid Inspector General audits and reviews, involving issues such as the Ambulatory Payment Group reimbursement methodology, outpatient services provided during an inpatient stay, billing of drugs provided under the 340B program, and various other documentation concerns. Provision of advice to a large health care system regarding various Medicare, Medicaid and regulatory compliance requirements for home health services.